A five-year study confirms that adding vagus nerve stimulation to care-as-usual for treatment-resistant depression improves symptoms and boosts remission rates. Over the course of a five-year study, patients with treatment-resistant depression who were treated with vagus nerve stimulation in addition to a usual care regimen of medication and therapy fared better than those who received usual care only, according to a study published in the American Journal of Psychiatry. The vagus nerve is one of the most important nerves in the human body. It is part of the nervous system that governs involuntary functions, commanding unconscious body procedures, such as keeping the heart rate constant and controlling digestion. It is also involved in emotional regulation and response, for instance, to stress stimuli. Vagus nerve stimulation (VNS) has been used for therapeutic purposes in depression and epilepsy. VNS uses a chest-implanted device to electrically stimulate the nerve at regular cycles, and has been approved by the U.S. Food and Drug Administration as a therapy for people with depression who have not been helped by other treatments. A team of researchers including Charles R. Conway, M.D. 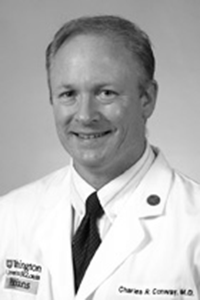 of Washington University School of Medicine in St. Louis, a 2007 Young Investigator, and Darin D. Dougherty, M.D., M.Sc., of McLean Hospital, a 2003 Young Investigator, compared clinical outcomes in 494 VNS patients (46 percent of whom had a diagnosis of severe recurrent major depressive disorder) and 301 usual-care patients (32 percent of whom were diagnosed with severe recurrent depression). The addition of VNS to usual care had significant antidepressant effects, the researchers found. Patients in the VNS group had a higher response rate to the treatment (67.6 percent compared with those in the usual care group, who had a 40.9 percent response rate). A “response” is defined by a 50 percent drop in depressive symptoms from the patients’ condition when treatment began. The VNS group also had a significantly higher rate of first-time disease remission, with 43.3 percent remission compared to 25.7 percent remission with usual care. “Remission” signifies a return to a non-depressed state. The researchers also noted an even higher rate of response (71.3 percent) among VNS patients who had responded positively to another type of stimulation therapy for depression called electroconvulsive therapy (ECT). In a second paper co-authored by Dr. Conway and published in the journal Brain Stimulation, he and his colleagues described six patients with treatment-resistant depression who experienced remission of their depression for an average of nine years following implantation of a VNS device. Dr. Conway has served as a research design consultant for Cyberonics, Inc., the manufacturer of the VNS implantation device; the company has also provided financial support to Dr. Doughtery.